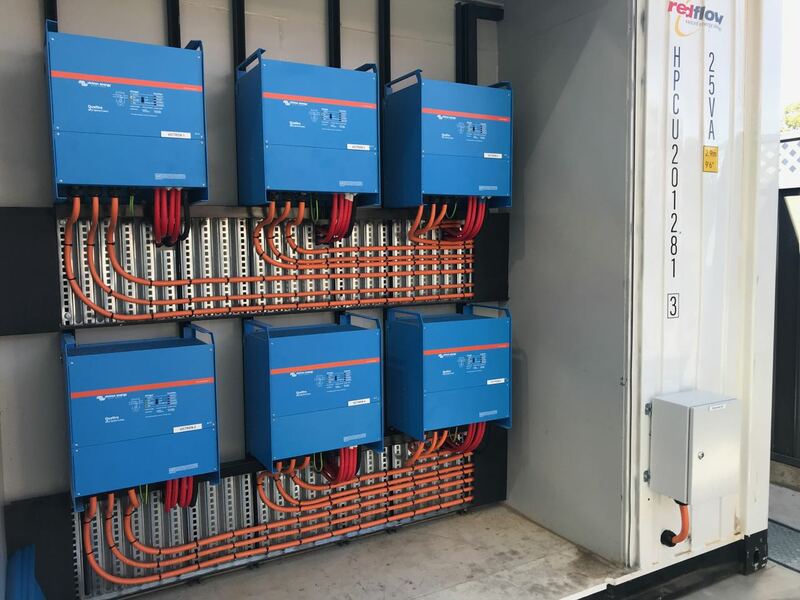 Victron Energy Inverter/Chargers come in sizes up to 15kVA / 12kW per unit (which is what these units are). They can be combined to support three-phase systems (as here) with a total of up to 18 units able to be clustered. On this site, 72kW total (over 3 phases) was a great fit to the peak energy demands that we have.